The Immaculate Conception, which we celebrate each year on December 8th, reminds us that Mary was different from us in one very important respect: she was conceived without original sin. She was also different from us in other ways. For example, she never committed a single sin in her entire life (no one of us can make that claim! 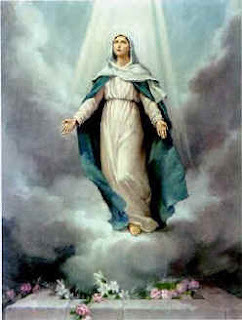 ), and she was different in that she had a unique calling from God to be the physical mother of the Savior of the world! But today’s feast, the Assumption of Mary into heaven, reminds us that Mary was also like us in one very important way: she was a human person, who had a human body—a body that was made for earth and which had the potential to be “re-made” for heaven! The ultimate blessing for Mary was to be taken to heaven, body and soul, to be with her Divine Son in eternal glory. Which brings us to what I would call “the thirdfruits”—US! Jesus was the firstfruits because he rose from the dead and ascended to heaven, body and soul, by his power as God. Mary was the secondfruits because Jesus raised up her body when her earthly life was over, and brought her into his kingdom, body and soul. We are the thirdfruits because what happened to Mary will happen to those of us who die in the state of grace. With one difference: It won’t happen to us at the same time that it happened to the Blessed Mother; in other words, it won’t happen when we die! (I always like to review this on the feast of the Assumption, because many Catholics are unclear about it.) The Church’s teaching, based on the Sacred Scriptures, is that when we die our souls are separated from our bodies. Our souls go either to heaven, hell, or purgatory. However, our bodies go into the grave; and, unless they’re preserved by some special miracle, they decompose there. But they will be raised up again: at the end of time—at the Final Judgment—and at that point they will be reunited with our souls. Then everyone will go—soul and body—either to heaven or hell; purgatory will cease to exist. Ultimately the feast of the Assumption is a reminder that the true goal of life is not to make a six-figure salary, or to “make-it” in the eyes of the world. The Assumption tells us that the true goal of life is heaven, and that it’s not only our souls but also our bodies that are meant to reside there forever (without all the aches and pains and imperfections that we have here on earth, of course!). We sometimes say that Jesus died to save our souls. And that’s right—but it’s really only half-right. It’s much more accurate to say that Jesus died to save us, soul AND body. This is why the Church teaches that our bodies are important, and that what we do to them and with them and for them matters! The Church says, “No, your bodies deserve better! Your bodies deserve respect and care—they should never be abused with alcohol or drugs or promiscuous activity or through violence—simply because your bodies are made to reside forever with God! Holy Mary, Mother of God, pray for us, that we will learn the lesson of your Assumption and treat ourselves—and our brothers and sisters—accordingly, always keeping in mind that their bodies and ours will someday be raised and glorified, just like yours and just like your Divine Son’s. It’s a well-known fact that more people fear flying than driving (and that was the case even before September 11, 2001!). Before that moment he was doing just fine; in fact, he was doing a lot better than “just fine”—he was doing what was humanly impossible! He had his eyes on Jesus—meaning that he was totally unconcerned with what he could not control—and he walked on the water. But once he took his eyes off the Lord, the “uncontrollable” suddenly grabbed his attention—and that was the beginning of the end of his little stroll on the lake. If we really stop and think about all the events and circumstances of our lives, we’ll realize that the vast majority of what we have to deal with each and every day is totally beyond our control. But “the majority” is not “all”! That’s good news, because it means that there are some dimensions of our lives that we can control successfully if we choose to. And these, believe it or not, have a direct impact on how we deal with all of those uncontrollable things in life that sometimes cause us to be fearful. Here Peter serves as a great example. As I noted at the beginning of my homily, he could not control the weather that day on the Sea of Galilee: he couldn’t stop the wind; he couldn’t calm the waves that were tossing around the apostles’ boat. But he did have the power to control his mind—his thoughts—in the midst of it all! And he actually did that very well—for a brief time. That’s when he walked on the water. He had his mind centered on the Lord; he had his eyes riveted on Jesus; he put his complete and total focus on his Savior—and he acted fearlessly! Even though he was in the midst of a situation that he could not possibly control, he had no fear in his heart! But then he chose to focus his attention somewhere else. He made the decision to take his mind and eyes off Jesus, and allowed himself to be distracted by what was uncontrollable. Like Peter, we can also control our choices—especially our choices regarding Jesus Christ and our Catholic faith. We can choose, for example, to take the teachings of the Church seriously every day and apply them in every circumstance we face; we can choose to nourish our relationship with Jesus through daily prayer and frequent reception of the Eucharist; we can choose to read at least one passage from the Bible every day so that our thoughts get in line with God’s word; we can choose to read books that will build up and not undermine our faith; we can choose to strengthen (or repair if necessary) our relationship with Jesus by going to Confession on a regular basis. If we choose to take positive, spiritual steps like these every day (all of which are under our control), they will have a direct, positive impact on how we deal with the many things in our lives that we cannot control. We will be spiritually stronger in the midst of those uncontrollable events, and less fearful. Once again, look at Peter. The man who freaked out in the midst of some bad weather on the Sea of Galilee, later went to his death fearlessly! He obviously had changed. He obviously had grown spiritually. And his was no ordinary death, remember: Peter was crucified upside down near the obelisk that now stands in St. Peter’s Square in Rome. Peter could not control Nero and the Romans who condemned him to death. But he could control his inner response to their condemnation. This time he made the right choice—and stuck with it! This time he chose to keep his eyes—the eyes of his soul—firmly fixed on Jesus till the end. So today’s lesson is simple: By controlling what we can control in life, we strengthen ourselves to face the things that we cannot control. And this can eliminate—or at least lessen—our level of fear (perhaps even our fear of flying!). It was a big story—but relatively few people heard about it. I have my own theories as to why, one of which is that it made the Catholic Church look really good; and, sadly, there are many in the secular press who would rather not publish any news story that paints the Catholic Church in a positive light. But if you didn’t hear it before, you’ll hear it today, at this Mass. It concerned a professional soccer player for the New England Revolution named Chase Hilgenbrinck, who shocked his teammates and most followers of pro soccer in early July, when he suddenly announced his retirement. It was shocking first of all because he’s only 26-years-old and at the height of his physical abilities. But it was also shocking to a lot of people because of why he’s leaving: he wants to be (of all things) a Catholic priest! This fall he’ll begin 6 years of study at Mt. St. Mary’s Seminary in Emmittsburg, Maryland (where Fr. Mike Sisco and Fr. Greg Stowe both studied; and where Frank Francese from our parish will be a student for the next 4 years). When he’s ordained, Chase Hilgenbrinck will go back to the Diocese of Peoria in Illinois to serve in a parish there. It was nice to see that one person who reacted very positively to this news was Michael Burns, the New England Revolution’s vice president of player personnel. He was quoted as saying, “Chase said it was time for him, that he had been thinking long and hard. 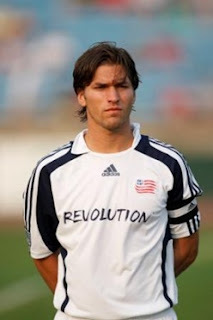 Purely from the Revs standpoint, it’s too bad. But a lot of players leave the game not on their own terms. He’s clearly left on his own terms, which is great for him. In today’s gospel reading from Matthew 14, Jesus says to his 12 future priests, “Give them some food yourselves.” Why did he say that to them, when he knew he would feed the crowd himself in a few minutes by working this tremendous miracle? I think it was to prepare them in a remote way for their future ministry. Within 3 years, they would be called upon to help people spiritually, emotionally—and even physically—as priests, and this gave them an opportunity to think about how they would do that. And, of course, this event also gave Jesus the opportunity to teach his future priests that God could and would do extraordinary things through them, if they simply trusted and prayed and stepped out in faith. The role of a priest is to bring people into a close relationship with God through word and sacrament: the God who quenches their spiritual thirst and who gives them what they need (which is not necessarily what they want!). I confess—I’ve had that thought many times! 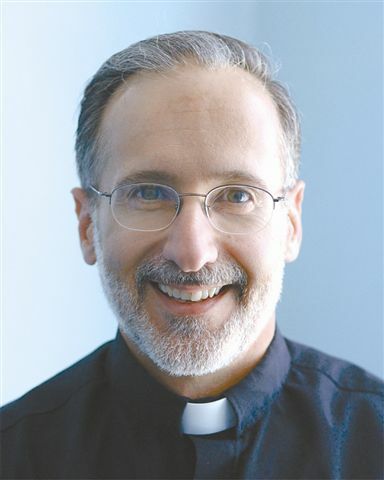 In part, the ministry of a priest is to help people to understand that God never, ever abandons them—even in their darkest moments—and that the only thing that can possibly separate them from the Lord is their sin. And the easy cure for that is repentance in the confessional! Chase Hilgenbrinck believes all these things. He believes the truths contained in these 3 important passages from the Bible. He also believes that acting on these truths and spreading them to the world full time as a Catholic priest is more important than a career in pro sports. If you do, and you’re a single man, you’ll at least consider the possibility that God might be calling you to serve him as a priest. If you do, and you’re not eligible to serve yourself, you’ll at least pray for vocations every day. And if you’re married with a son you’ll also encourage that son of yours to be open to a vocation—and then support him if he’s called.